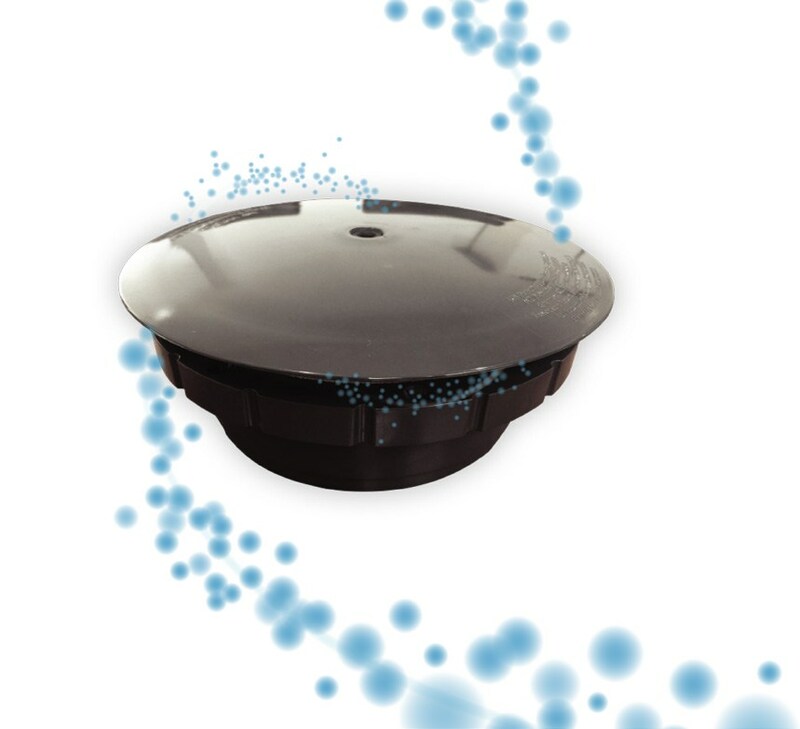 Our patented and exclusive hydrostatic valve has been developed to dramatically reduce rising ground water pressure at rates that are 5 times greater than industry standard valves used in fibreglass pools. In what we believe is a world-first, we are now able to offer a lifetime warranty against damage caused by hydrostatic pressure - which is nearly always excluded from home insurance policies and manufacturers' warranties. One of the potential risks of owning any swimming pool is the possibility of damage due to a hydrostatic event. 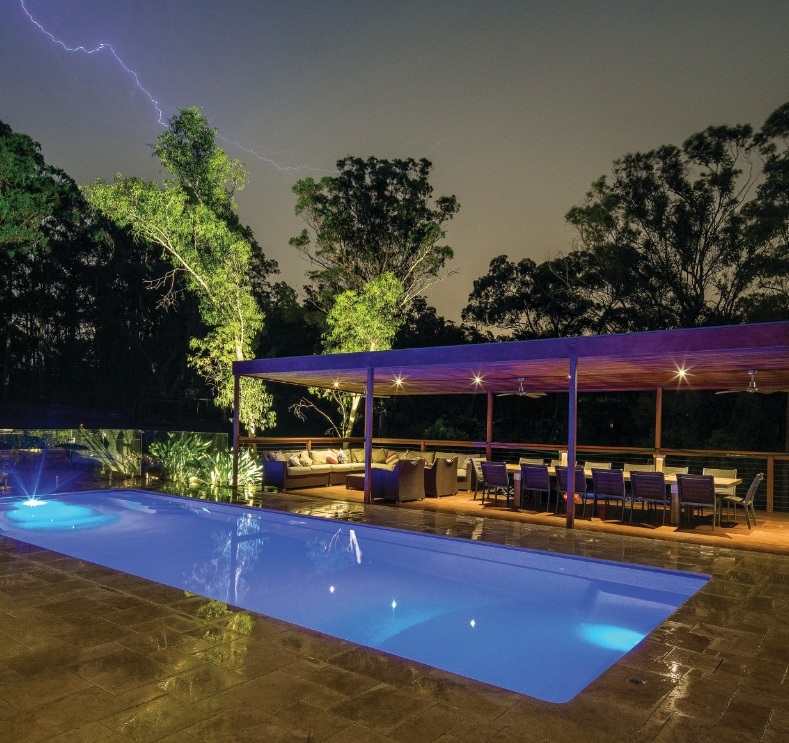 Essentially, ‘hydrostatic damage’ can occur when the water level in the ground rises higher than the water level in your pool. When this happens, your pool (fibreglass or concrete) will naturally want to lift or float…a bit like a boat. As the ground water subsides again, and the pressure on your pool reduces, it can result in significant structural damage to your pool (fibreglass or concrete). With the increasing regularity of extreme weather events and intense rainfall, we wanted to eliminate this risk for all Compass Pool customers. The key to preventing damage from occurring is to quickly release growing ground water pressure before it’s too late. The Compass Research and Development team has spent three years testing and perfecting a patented hydrostatic valve that is so sensitive and has such high flow rates, that we can now offer a unique hydrostatic damage warranty with our exclusive HydroPro valve. 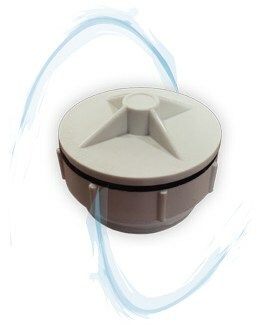 A patented hydrostatic relief valve only available with Compass in-ground pools. Maximum protection against ground water pressure and extreme storm events. Lifetime warranty protection against hydrostatic damage (transferable to subsequent owners for the balance of 25 years). Maximum protection against chemical breakdown and UV damage. With an additional layer of vinyl ester resin, your Bi-luminite pool surface will maintain its stunning good looks for longer. 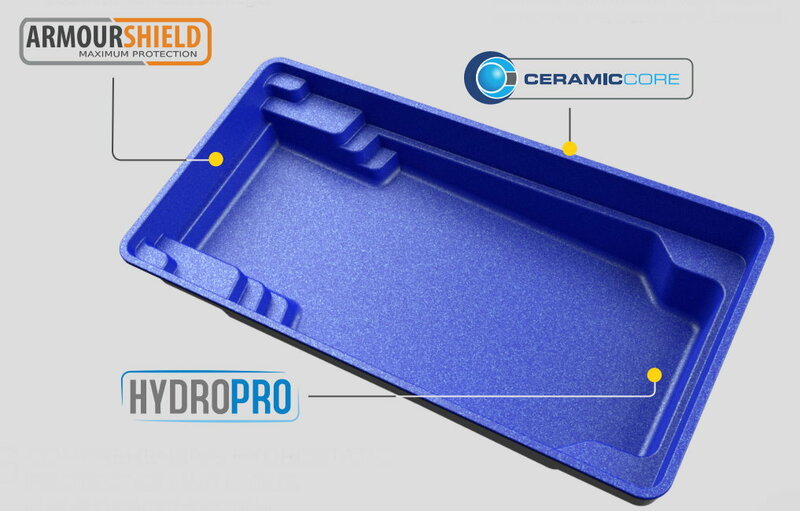 ArmourShield is standard in all Bi-luminite pools and is backed by a 10 year cosmetic warranty, including protection against cosmetic osmosis damage. Improved chemical resistance offers greater structural integrity over time. Increased panel stiffness, whilst maintaining the enhanced ability of a fibreglass composite pool to cope with seasonal ground movement. Lifetime structural warranty including protection against structural osmosis damage (transferable to subsequent owners for the balance of 25 years).